You are at:Home»iPhone»iOS»My iPhone Keeps Crashing! Here’s The Real Fix. Your iPhone is crashing and you’re not sure why. Most of the time when dealing with a crashing iPhone, its software is causing the problem. 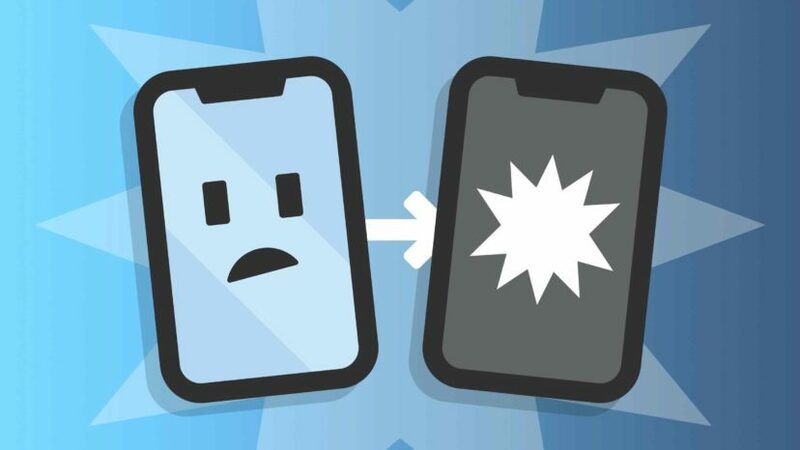 In this article, I’ll explain why your iPhone keeps crashing and show you how to fix the problem for good! One quick way to fix a minor software problem that could be crashing your iPhone is to turn it off and back on. All the applications and programs running on your iPhone can shut down normally, giving them a fresh start once you turn it back on. Press and hold the power button until slide to power off appears on the display. If you have an iPhone X, XR, XS, or XS Max, simultaneously press and hold Volume Down button and the side button to reach the slide to power off screen. Next, turn off your iPhone by swiping the circular power button from left to right across the display. Once your iPhone has completely shut down, press and hold the power button (iPhone 8 and older) or the side button (iPhone X and newer) until you see the Apple logo on the display. Your iPhone will turn back on shortly after. My iPhone Froze When It Crashed! If your iPhone froze when it crashed, you’ll have to hard reset it rather than shut it down normally. A hard reset forces your iPhone to turn off and back on abruptly. iPhone XS, X, and 8: Press and release the Volume Up button, then press and release the Volume Down button, then press and hold the side button. Release the side button when the Apple logo appears. iPhone 7: Simultaneously press and hold the power button and Volume Down button until the Apple logo appears. iPhone SE, 6s, and earlier: Press and hold the Home button and the power button simultaneously until you see the Apple logo on the screen. It’s possible your iPhone keeps crashing because one of your apps keeps crashing. If that app is left open in the background of your iPhone, it could continuously crash your iPhone’s software. 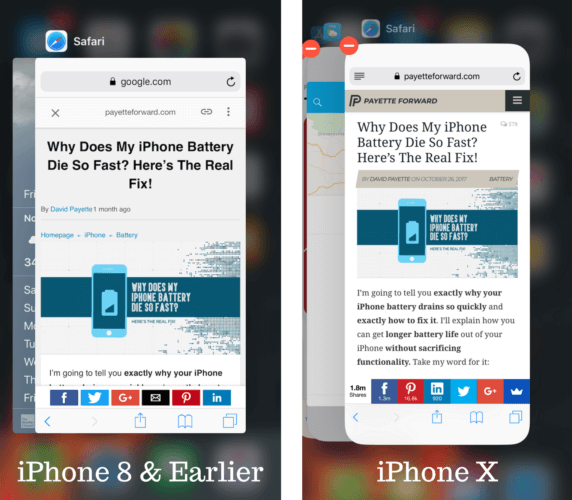 First, open the app switcher on your iPhone by double-pressing the Home button (iPhone 8 and earlier) or swiping up from the very bottom to the center of the screen (iPhone X and later). Then, close your apps by swiping them up and off the top of the screen. If an app was responsible for the problem, you may want to check out crashing iPhone apps. It’ll help you diagnose and fix problems with app or apps that are crashing! Using an iPhone with an outdated version of iOS, the iPhone’s operating system, can cause it to crash. 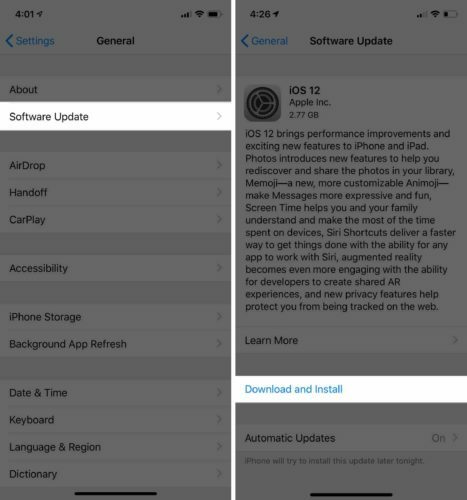 Check for a software update by going to Settings and tapping General -> Software Update. Tap Download & Install if an iOS update is available. If your iPhone is still freezing, it’s time to save a backup, just to make sure you don’t lose any of the information on your iPhone. The next two troubleshooting steps in this article address deeper software problems and require resetting some or all of your iPhone to factory defaults. By saving a backup, you won’t lose any data when you reset or restore your iPhone! Check out our YouTube video to learn how to backup your iPhone to iCloud. You can also backup your iPhone by connecting it to iTunes, clicking the phone icon in the upper left-hand corner, and clicking Back Up Now. When you reset all settings on your iPhone, everything in the Settings app gets reset to factory settings. You’ll have to reconnect your Bluetooth devices, reenter your Wi-Fi passwords, and re-optimize your Settings app to improve battery life. Issues in the Settings app can be very difficult to track down, so we reset all settings to try and fix the problem in one fell swoop. To reset all the settings on your iPhone, open Settings and tap General -> Reset -> Reset All Settings. You’ll have to reenter you passcode and confirm your decision by tapping Reset All Settings. Our final software troubleshooting step for crashing iPhones is a DFU restore. 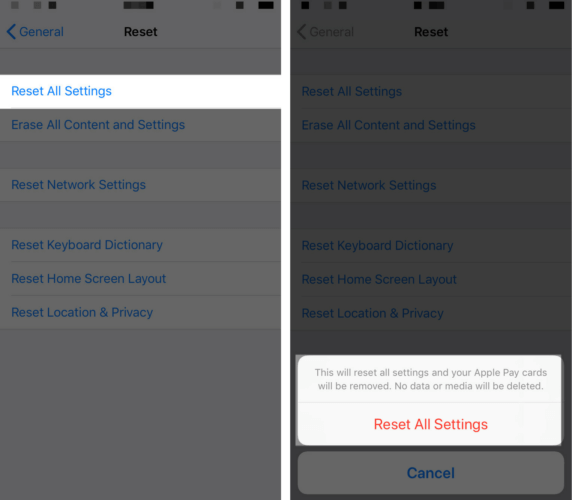 This restore will erase all the code on your iPhone, then reload it line-by-line. After saving a back up, check out our walkthrough to learn more about DFU mode and how to restore your iPhone. A hardware issue is almost certainly causing the problem if your iPhone is still crashing after you’ve put it in DFU mode and restored. Liquid exposure or a drop on hard surface can damage the internal components of your iPhone, which may be causing it to crash. Set up a Genius Bar appointment at your local Apple Store and see what they can do for you. I also recommend an on-demand repair company called Puls. They can send an expert technician directly to you in as little as 60 minutes! That tech will repair your iPhone on-the-spot and give you a lifetime warranty on the repair. You’ve successfully fixed your crashing iPhone and it’s not giving you problems anymore! Next time your iPhone keeps crashing, you’ll know how to solve the problem. Leave me any other questions you have about iPhones in the comments section down below. Previous ArticleBest Deals On The iPhone XS & XS Max | Get Yours Today! Next Article How Do I Hard Reset An iPhone XS & iPhone XS Max? The Fix!